Magento is one of the top ecommerce platforms. Its design enables online merchants to sell on international markets, thus maximizing their sales potential. In this article we’ll give you some highlights on translation for Magento. Getting a better idea of ecommerce translation’s role in selling your products can help you increase your efficiency and revenue on unprecedented levels. 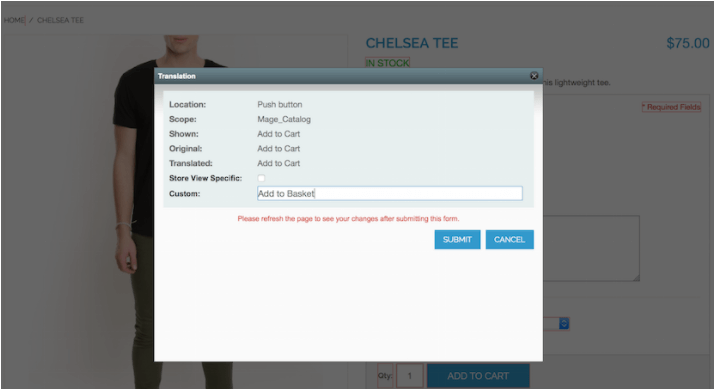 Ecommerce translation and localization is a complex process so we want to show you an easy way out. Read up on translation for Magento and the modern, AI-based ecommerce translation technology! Magento is one of the most popular platforms among online retailers. It’s been chosen by Nike, Olympus and Samsung. Why is it so popular? Magento is a cost-effective platform that allows businesses to benefit from specialized features and multiple stores. Magento is flexible, scalable and convenient. Its open-system architecture has the power to create highly unique user experiences in harmony with various kinds of access devices. Magento has worldwide presence. If you have a Magento online store, not only can you offer your products domestically, but also localize your store on tens of international markets, maximizing your sales potential. Bear in mind, though, that Magento is a complex platform and it’s highly recommended that international online sellers have a basic understanding of its complexity. One area of interest is translation and localization of ecommerce listings. Thanks to Magento translations, you can customize and localize your store for multiple markets and regions. 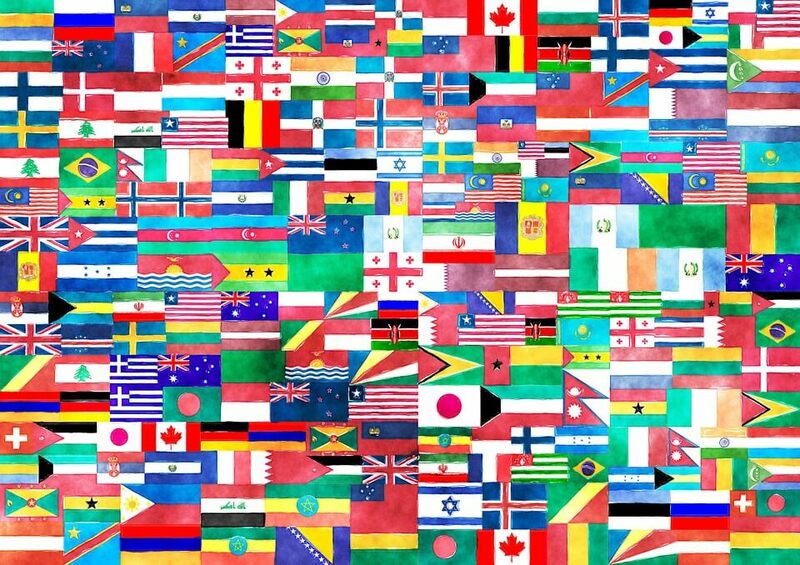 Translating your listing into a number of languages is a complex process due to different languages, different terms and different dictionaries. understand what type of automatic solution can make your ecommerce translation and localization cost-effective and efficient. For starters, let’s explain a few terms that will make navigating through Magento translation related waters easier. Translation dictionaries are a convenient way to translate some words and phrases, such as the ones for a custom theme or module. The Magento code base has the required translation dictionaries for a language. This language is configured by the store administrator to be utilized in specified scope (e.g. storefront). 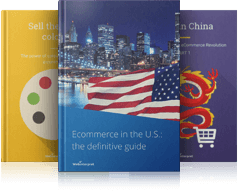 If you’re interested in ecommerce translation, check out our translation-related guidebooks and articles. 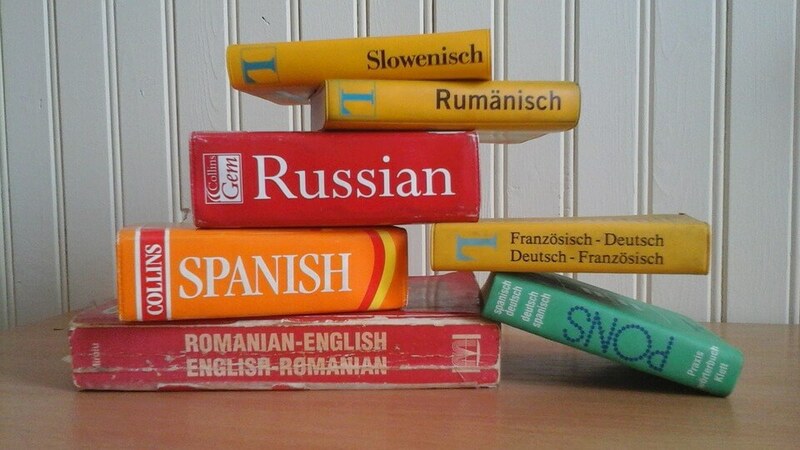 A language package is a collection of translation dictionaries for a given language with meta-information. Language packages enable you to translate any or all words and phrases in the Magento application. Depending on your needs, you can either use existing language packages or you can create your own. To make your online store more flexible, you can upload a few language packages for the same language. This way, you can use various custom packages for given parts of your store. To do that, name the new package, but to avoid confusion, don’t use an existing language code name, and specify configurations of a package. Language inheritance enables you to create a new (child) translation based on an existing (parent) one. If you missed or omitted localizing some phrases or terms, parent translations are utilized. Child translations override parent ones. If the child translation fails to display or upload, the parent will be used. If a child translation lacks a word or a phrase, the missing part will be taken from the parent locale. Language inheritance is a mechanism to create a hierarchy of language packages. You can submit translations on the storefront with the Text Editor. Changes made in the Text Editor are stored in the database, not recorded in an instance’s dictionary. To manage your translations in Magento, you can go for a few methods, each of which has pros and cons, depending on your needs. Magento has 3 different ways of adding/changing translations, from highest to lowest priority. Read on about inline, theme and module translations. The Inline Translation can be enabled for frontend or/and backend from the admin panel (System > Configuration > Developer > Translate Inline). All changes (new translations) will be stored in the database (core_translate table). Via this method you can add a new translation to the Default Config (all stores) or to a specific store view. You can notice that the overridden string (original translation) has the format: Module_Name::Original_Translation. This is because you add the changes to a specific place (specific module), the same string can also appear in a different module. For example, if you want to change the translation for the Add to Cart button on the product page, the following popup helps you add a new string. In the case of these changes, the following data will appear in the core_translate table. Since this translation method is non-technical, it’s easy to add a new translation. To do this, you don’t have to be an expert in translations in Magento. You can apply it as a default value either for all stores or to a specific store view. However, if you have a lot of changes, it may be time-consuming. It can also be difficult to apply to other Magento stores. Some strings can be translated many times in different modules. That’s why it’s better to translate the Add to Cart button using the Module_Name::string (the same syntax as in the case of Inline Translation). Whether the theme translation method will be good for you depends on your needs. It’s the best solution for making changes only in a specific/current theme. However, it’s the worst approach if you have a lot of themes for your store/devices/websites and you need to introduce the same changes everywhere. Sometimes some translations of the core or a third party module may have to be changed. In such a case, editing files is never recommended. Module translation is beneficial when it comes to adding a translation file to your own module, the core or a third party module. Unfortunately, it’s not as easy to use as the Inline Translation method is. When you create your own module, you can declare and add a translation file to it. Let’s say you need to add changes to the core or a third party module. What’s the best solution when you need to edit the translation in a specific module? Add an extra translation file to the module in which you wish to change the translation and declare it in your module configuration file. As a result, another translation file will be added to the module. The translation files will be merged so it’s crucial to add dependencies to the initialization file for your module when it’s necessary. Otherwise your changes may not take effect. There are over 20 million websites run on Magento in more than 120 countries. 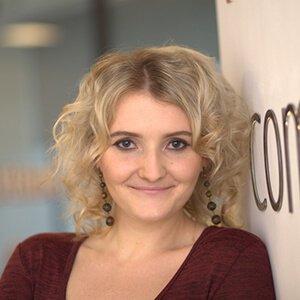 As Magento is managed and developed in English, this creates a challenge. In fact, there’s a need for optimization for each country. To give you an idea, let’s take a look at Magento 2 localization. Timezone: choose it from the default list. Locale: choose your store’s language. Weight Unit: related to shipment, e.g. pound, kilo. First Day of Week: the day considered to be the first day of the week in your area. 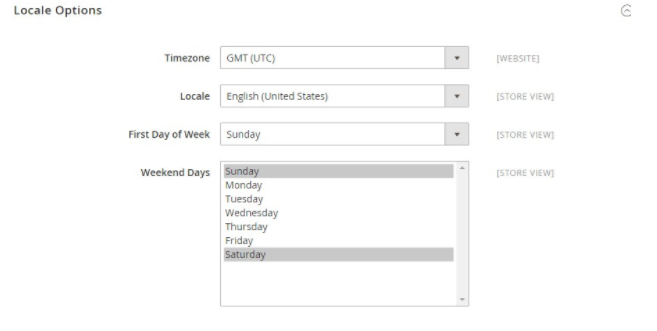 Weekend Days: select the days which fall on a weekend in your area. Perhaps you’re familiar with the above translation methods, both in theory and practice. 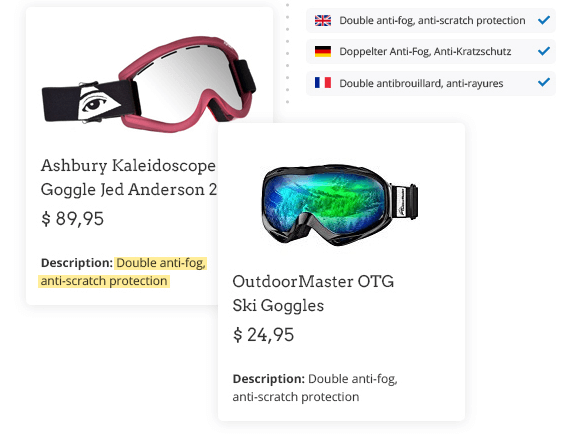 Perhaps you organize translations for your Magento-based store yourself and/or manually insert product descriptions in multiple languages. It’s absolutely fine … especially if you have a lot of patience and time on your hands. 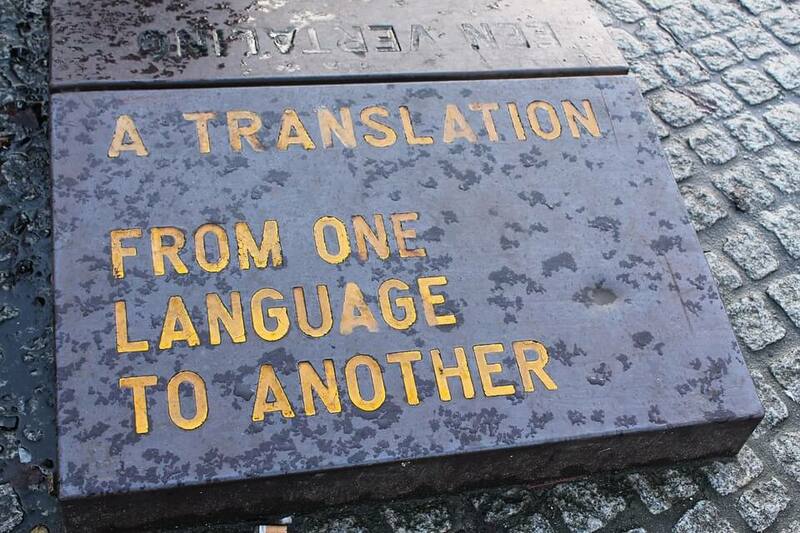 You may be in for quite a lot of work, dealing with translations and retranslations on your own. And here’s the deal: today you really don’t have to. Good business solutions are often automated and translation tools for ecommerce purposes are no exception. Especially now that the development of Artificial Intelligence (AI) is making machines much more human than they used to be. Artificial Intelligence is about the simulation of intelligent behaviour in machines so that machines carry out more and more complex tasks with less human supervision. At present, international online sellers have to do a great deal of manual work, matching product categories, attributes, sizes and so forth. However, thanks to big data analysis and AI, they can carry most of this product tagging on a larger scale. A simple raw description will be enough for AI to accurately localize the whole content, map the right category, extract attributes and convert sizes. It’s efficient, accurate and consistent. This is what we focus on at Webinterpret: efficiency, accuracy and consistency of ecommerce translation thanks to combining machines’ capabilities and the intelligence of the human brain. It is humans that have knowledge and do the thinking, but it is machines that are fast and more consistent. Technology combined with the human touch can produce amazing results. To read more about how AI impacts ecommerce translation, check out our article How Artificial Intelligence revolutionizes ecommerce translation. 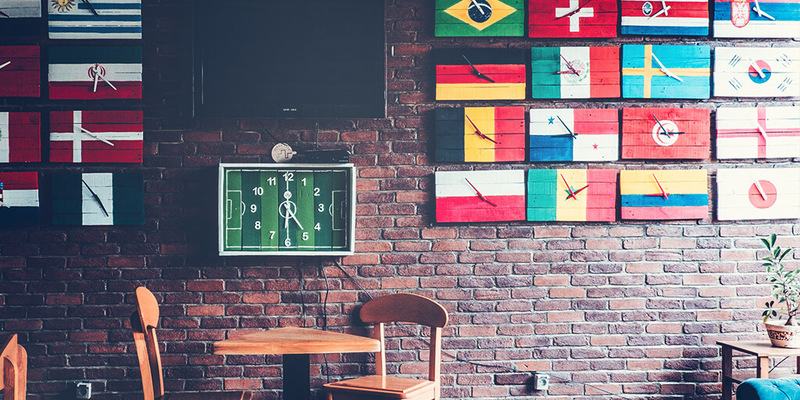 When it comes to ecommerce translation, it’s not enough for a machine to simply recognize words and phrases and combine them. At least not if the expected end result should include keywords that will sell your product. Consider this. In some contexts, online buyers searching for the same piece of clothing are more likely to use the word ‘trousers’. In other contexts, ‘pants’ may be the winner. Ecommerce data analysis helps to establish which keywords will maximize the possibility of selling a given product. Of utmost importance are titles: these should include searchable terms on a given platform. Additionally, buyers are not looking for great product descriptions, but great product offers. Clearly listed attributes and the right keywords are the core of optimal ecommerce translation. 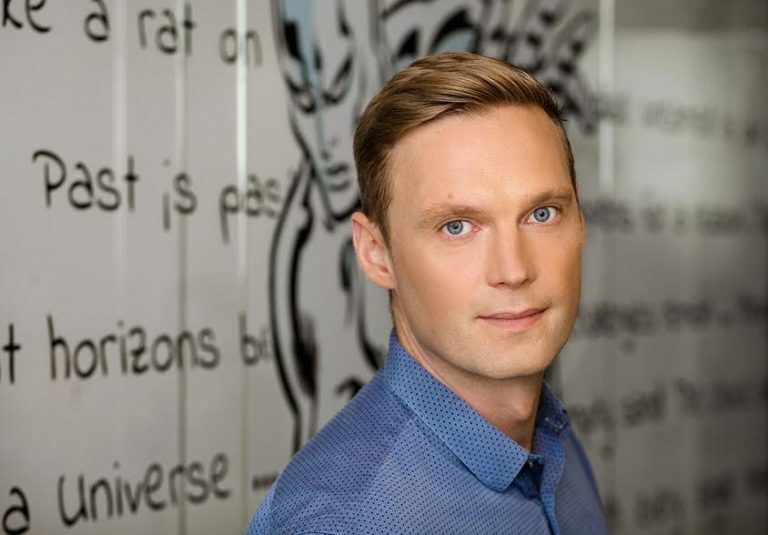 Webinterpret uses an AI based, natural language processing solution and autonomous machine-learning to deliver affordable, automated human-quality translation. We fully embrace AI technology to minimize operational time and cost while providing our clients with a high-quality, domain-specialized localization process. Using a plugin we connect to your domestic store or marketplace account, we then extract your product categories, titles, descriptions and attributes. Then, the different components are localized according to the specific requirements posed by the marketplace, the category of the product and sellers’ preferences. 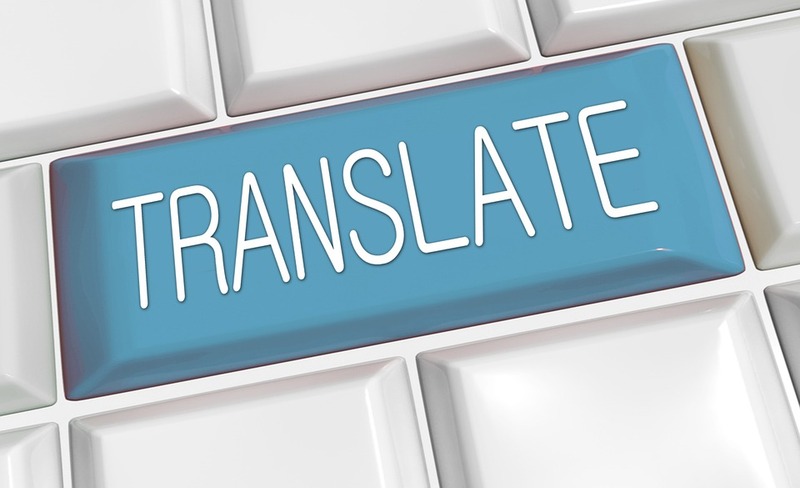 Our translation process, tailored to the specific requirements of the product, can be fully automated with Thot, our in-house translation software tool. This innovative technology allows the translation system to learn from human feedback in a continuous, self-improving loop. Thanks to this solution, the correctness of our translations has got closer to 100% with no need for human intervention. Standard machine translation: it’s built and trained specifically for ecommerce products and it understands the notion of products, attributes, categories and context in a way that standard machine translation cannot. Human translation: that is slow and expensive. It’s automated and integrated and plugs straight into your existing store. Thanks to ecommerce and category optimized libraries, our translations are consistent and standardized. We use a statistical machine translation engine, which is specifically optimized and trained for ecommerce products, attributes and categories. As a result, your products are searchable and indexed correctly. 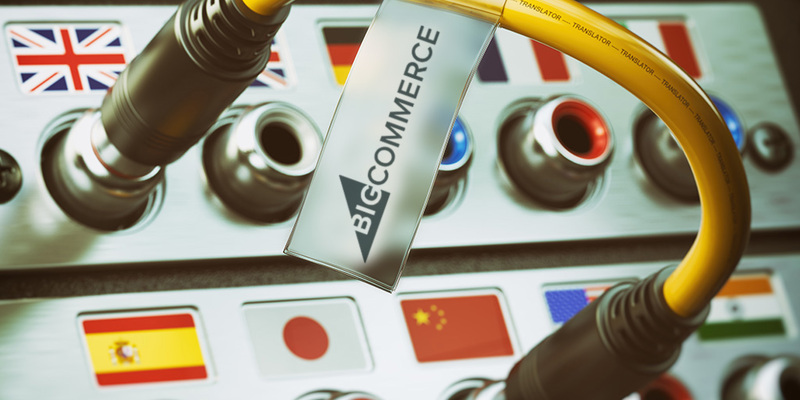 Our solution is perfectly integrated with the top ecommerce platforms, such as Magento, Shopify, Bigcommerce or Woocommerce. Our automated process enables us to offer our translation services for FREE as part of one of our free or paid plans. Understanding translation methods in Magento and applying the most suitable one can increase your efficiency immensely. Take into account a given context and consider your specific needs. There is a common misconception that automatic translation has numerous flaws and will never beat human translators. Human translation, however, is not necessarily the best return on investment for your business, especially if your translation outputs are huge and your time and budget limited. Machines may be no linguists, but in the ecommerce context they do a pretty good job. Machine translation is at present sophisticated enough to satisfy a number of business needs at a reasonable cost. Machines are efficient, accurate and consistent – so never underrate their power in the world of international ecommerce. A cross-border trade partner can help you optimize your translation processes and costs, thus helping you get the best return-on-investment. Interested in finding out more? Book a FREE demo!